No matter what time of year it is, you need to have the good people at Elkhart Mechanics check your cooling system. Your cooling system can make or break your day. No one likes to sit on the side of the road with their vehicle boiling over. Your cooling system is much more than just the radiator; it also contains the water pump, thermostat and cooling fans. If any of those go out you’re not going to have a good day. Preventive maintenance is always the best cure. If you keep up on it won’t let you down. The workers at Elkhart Mechanics can do simple checks to make sure you have the right amount of anti-freeze as well as to make sure everything is in good working order. An overheating engine can put a serious damper on your summer road trip, but we at Elkhart Mechanics can get your car’s cooling system back in working order, so you don’t have to worry about the engine overheating. Sometimes the problem is a leak in the coolant system. If you lift up your car’s hood, sometimes you can see where the coolant is leaking out. 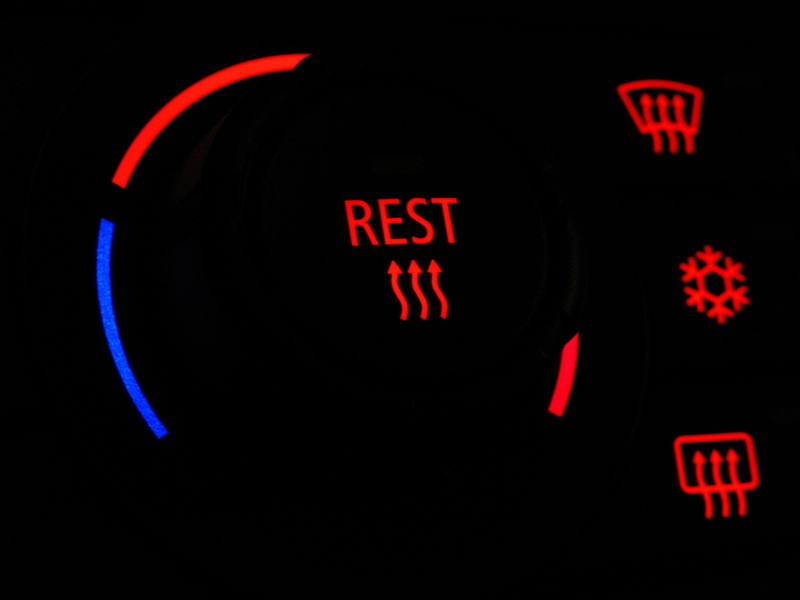 If you have a newer car, there may be a message on the dash board that lights up to indicate that your coolant is low. The coolant might be green, orange, or yellow, and it could be leaking from the radiator, hoses, water pump, freeze plugs, heater core, or intake manifold gasket. Sometimes the coolant leak is in an internal part of the coolant system, and you cannot see it. This happens when the leak is in the cylinder head, engine block, or automatic transmission fluid oil cooler. If your coolant is contaminated, it can also damage parts of your cooling system. One of the first parts to wear out from rust and corrosion is usually the water pump. When you get your water pump replaced, it is a good idea to have your entire cooling system cleaned out, so that your new water pump does not also become rusty and need to be replaced in a short time. Damaged radiators can be another source of cooling system problems. Ideally, a car’s radiator lasts more than ten years, but the condenser, which is right next to the radiator in many new cars, can cause it to wear out more quickly. New models of cars also have an electric cooling fan behind the radiator, because this improves fuel economy. If the electric cooling fan malfunctions, it can cause the engine to overheat. Elkhart Mechanics can fix all your cooling system problems.